Majestic 1873 Victorian Beauty with Multiple Car Parking! Come see this Amazing 2 Family Home! 3 Decks, Skyline Views! Huge Fenced in Yard! Spectacular Original Detail inside & out! Front 2 Story Bay Window and Side Bay Window on first level! Amazing Original Carrara Marble Mantels! Thick Cornice Moldings! Historic Pumpkin Pine Floors are Everywhere! First Floor Formal Parlor Level is now an Oversized One Bedroom apartment with Towering Ceilings & Period Detail! Pocket Doors! The upper Duplex has the original Sweeping Bridal Staircase! Many Windows and Abundant Sunshine! Giant Eat in Kitchen! Lovely Livingroom! Bedroom with Bay Windows, Office or Dream Closet! Huge 2nd Bedroom with wood burning stove and skylight! Central Air Conditioning! Flexible floorplan! Plenty of creative options await the discerning homeowner or investor! Many Major Capital upgrades! 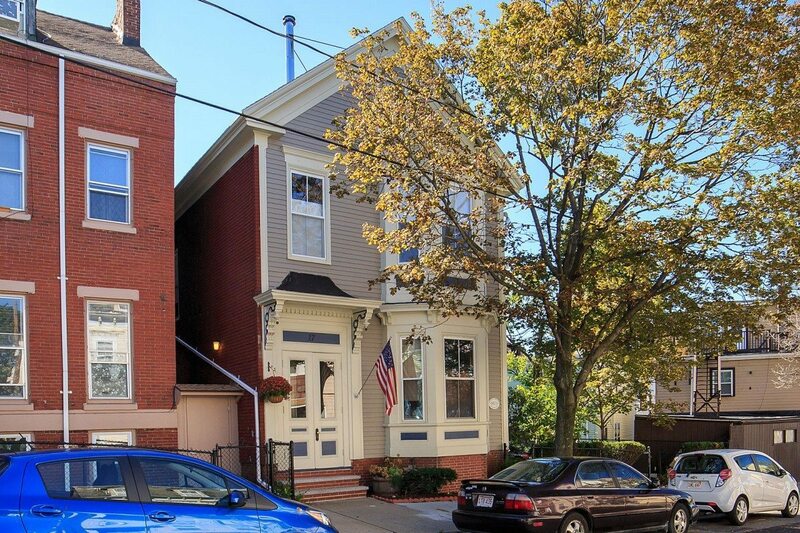 Minutes away from Boston’s Logan Airport, Route 1, MBTA blue line! Rare! Click here for the floorplan and more photos!